Akr. 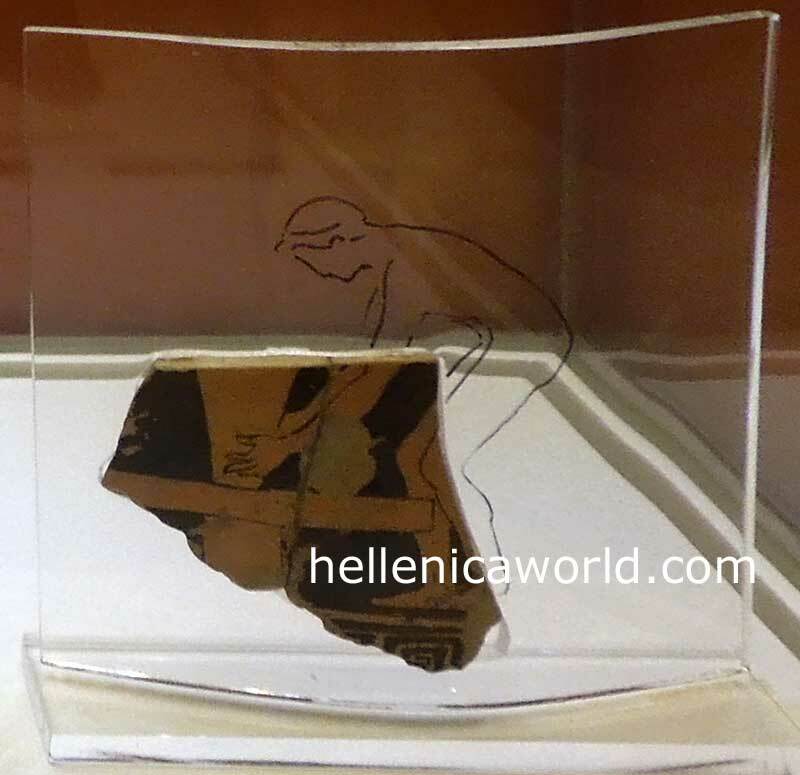 470 : Fragment of a red-figure skyphos. Potter mounting a vase on the wheel. From the Acropolis. About the middle of the 5th c. B.C.